At the European elections in 2019, the populists will be strengthened. The Christian-democratic group, the cleavage threatens to. The usual order is shaking. And in the middle Macron power. From Strasbourg Bernd Riegert. 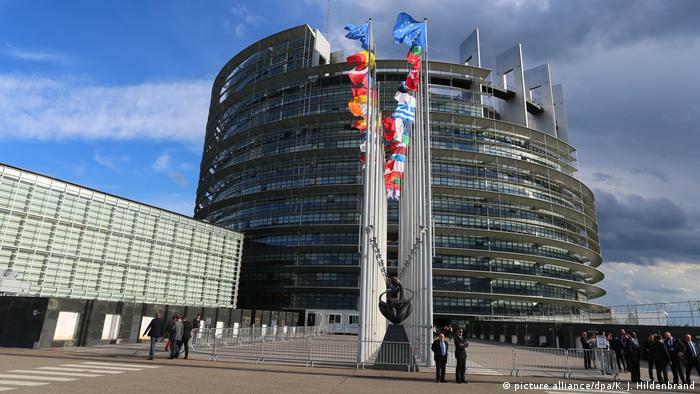 One thing is for sure: The party-political composition of the European Parliament, which is already with eight groups or groups quite colorful, it will be after the European elections in may 2019 even more complicated. In many Parts of Europe, populist parties are stronger, the classical national parties are shrinking. 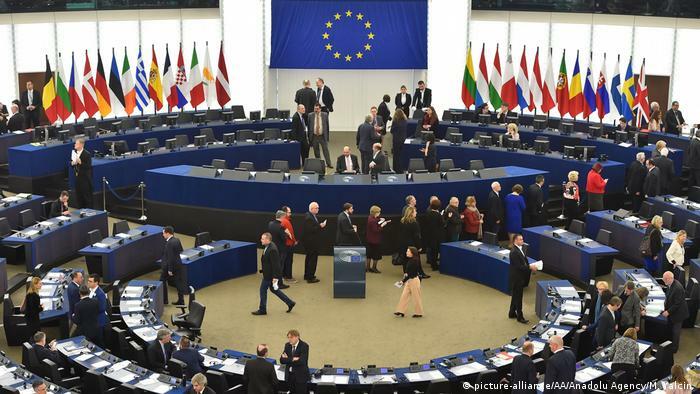 At the Moment, the Christian democratic EPP group, with 218 out of 751 MEPs, is still the largest in Strasbourg. That could change, because the group has more and more problems with the 12 nationalist deputies of the Hungarian “Fidesz”. After the Parliament, has also demanded, with around 100 votes from the Christian democratic group, has opened a sanction procedure against Hungary because of the lack of the rule of law, crunches it in the conservative beams. 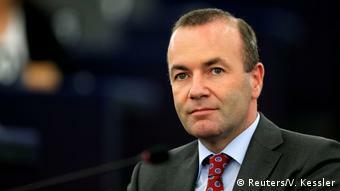 Faction leader Manfred Weber, the German Christian-social not just still bring the Fidesz people from the group, but he has also voted in favour of the procedure against Hungary. On the question of whether Fidesz can get to his group, replied Weber, the DW evasive: “In previous years, the Hungarian Parliament was always ready to compromise. We don’t see more now. Therefore, we need a dialogue, a dialogue on a new level.” Weber wants to wait and see the outcome of the “Dialogue”, so the sanction procedure in the EU Council of Ministers, but is expected to be available until after the European elections in may. Until then, a kind of castle of peace between the two Camps within the EPP group. 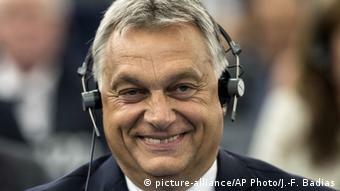 The Fidesz, Viktor Orban is not totally isolated. Many Christian Democrats from Spain, Austria, Italy and the Bavarian CSU have voted against a procedure. The Hungarian Premier and party boss Orban himself complains on the lack of leadership of the group Chairman, Manfred Weber, but makes no move, even out of the group or of the European people’s party to withdraw. The British members of Parliament and Brexit-the champion, Nigel Farage of the “independence party” had been proposed by Orban to form a new club to the opponents of the EU. Orban rejects the. “Mr Farage is the largest speaker in the Parliament. Listen to him, is really an intellectual joy. But we will not follow his invitation, because we belong to the EPP.” The Hungarian Nationalist wants to remain provisionally in the case of the Christian Democrats. The Austrian right-wing populists from the freedom party courting Orban, however, and offer him the cooperation of a new rights group. FPÖ leader Heinz-Christian Strache wants to work forging with other booms new majorities. In these groups, among other things, the right-wing populists Marine Le Pen from France, the “Alternative for Germany”, the “Sweden-Democrats”, the Dutch party for freedom of Geert Wilders would fit. Perhaps even the right-wing “Lega could join” by Matteo Salvini from Italy, won the most votes in the European elections is likely to be some mandates. A rights group, could be relatively large, and the second – or third-largest political groups, social Democrats and national conservatives, the rank will expire. Such mind games political strategists don’t want to join Viktor Orban of Hungary at the Moment. To the recent, very harmonious Meeting with the Italian Northern League chief Matteo Salvini, Orban said: “My relationship to Mr Salvini has nothing to do with party politics. We do not cooperate at the government level, as it comes to the parties.” Many right-wing populist parties can imagine, the new think tank, “The movement” of the US-American ultra-right adviser to Steve Bannon. Bannon, the US President, Trump into office helped and then fell out of favor, wants to make the populist right in Europe and the rejection of Migration to a campaign hit. This move by the Hungarian Prime Minister looks more restrained. “In the elections to the European Parliament it will go a large issue, namely immigration. This does not mean, however, that the voters give up their previous national vote. There are no Americans will run. There are no European border will be cross-lists,” said Orban in the European Parliament in Strasbourg, in front of journalists. By the Brexit, the next Parliament will be 46 seats smaller. The fragmentation into small parties will increase. The question of whether the Hungarian Fidesz still has a place in the Christian democratic “European people’s party”, will surely be games at the party Congress in early November a role. Then group chief Weber for tipping wants to get a candidate of his party, the family choose. It is expected to be a vote between several candidates, who would then have to take a stand. The winning top candidate of the largest faction in the new Parliament could be in 2019, then the chief of the powerful EU Commission. On the left-liberal side of the house, and moving to comes. The Pro-EU set to the fact that the French President Emmanuel Macron brings similar to his presidential campaign momentum in the debate in Europe. Macron has agreed with the head of the liberal group (ALDE), Guy Verhofstadt, to form a common large liberal group. However, it is unclear how many members of Macrons movement “can send Republic on the way” actually made it into Parliament. At the Moment, the liberals, with 68 of Parliament are members of only the fourth largest group, but it could be tipping the scales when it comes to specific votes. Thierry Cornillet is a French Liberal in the European Parliament, and Emmanuel not supported Macron, even though he belongs to the party. “I think the Rights are very strong in the next election. 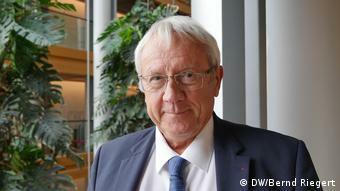 Therefore, it is important that we as the Fashion and Pro-EU are also strong,” said Cornillet, the DW in Strasbourg. It must be able to form a common liberal group with a Macron. This will not be the known ALDE-group, but something New. “Macron is Belgians, Italians, Germans, and others are winning, in order to form something New. A new group.” Whether this Formation should be set up by the French President then also a top candidate, is the liberal Cornillet not so important. The top candidate to be only a non-binding offer. “If it makes you feel better, you have to have a set-up.” If the top candidate of the largest group will then be elected from the Parliament on the next EU Commission President, was a very different pair of boots, – said the MP. It is important that all forces are uniting on the left and in the middle of the Parliament against the right-wing populists. The candidates at the top are beside the point.